I was doing my weekly scan of the cookbooks in my local Barnes & Noble when I discovered this lovely book from 2015. I live in New York City, surely the world center for cocktails [yes, I do know they drink in Tokyo, San Francisco, London ….]. But it is hard to dispute the importance of New York. And then there is Paris. When Prohibition stuck the United States, many of the best bartenders and surely a hoard of drinkers departed for Paris. There, cocktails were refined in Parisian style, a style in the 1920s mixed with jazz and wonderful art. Cocktails were elevated to art then, too. No “over the top with alcohol” cocktails. Smooth, subtle and sophisticated. About a decade ago, as the New York cocktail scene was already powerful and accelerating, folks in Paris were inspired to join in, again with their special cocktail style. 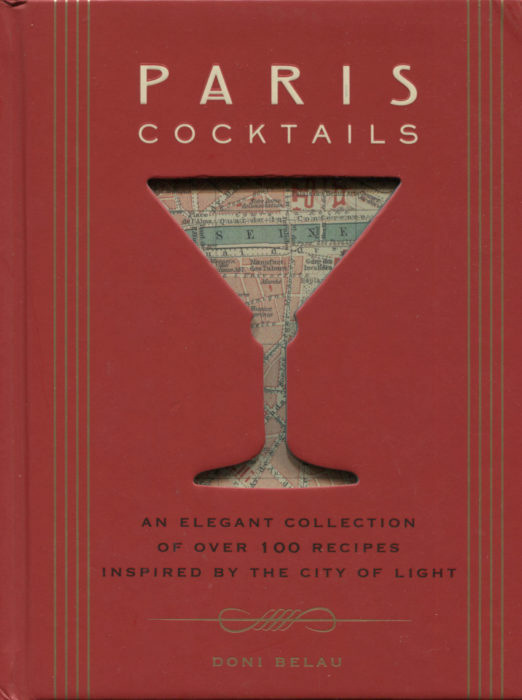 A second cocktail revolution has evolved in Paris and this book is survey of the contemporary Paris cocktail scene. No, I haven’t made any of those drinks up. They are real beverages that are hard to imagine and impossible to ignore. My favorite new ingredient is in that last drink: honey syrup infused with horseradish. Paris Cocktails will challenge you, thrill you, and take you a couple of years to work your way through. Almost as grand as going to Paris itself. If you love cocktails, inventive cocktails, this is a must book for you.